Uncle Mike pioneered the use of nylon in holsters more than 20 years ago and truly revolutionized the industry. 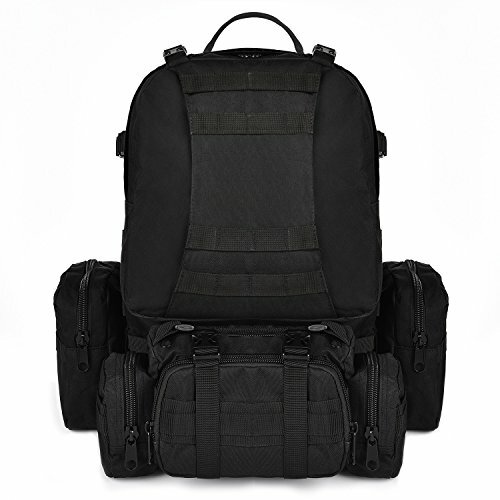 Through countless days in the field with hunters, law enforcement agencies, and the military this incredibly tough, tightly woven material has proven itself up to the test. 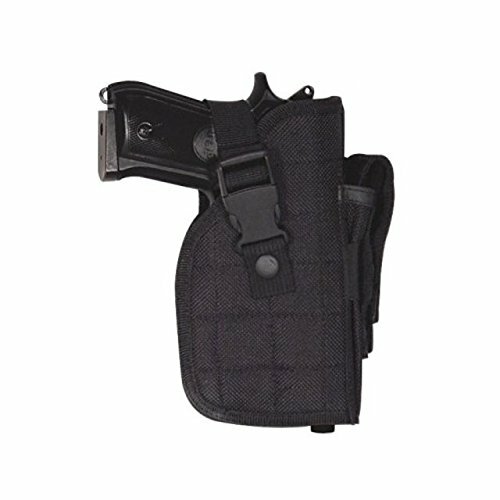 Large frame adjustable mount holster with attached mag pouch with elastic security strap. Right hand only. Stop an angry, charging bear with this amazingly effective deterrent. 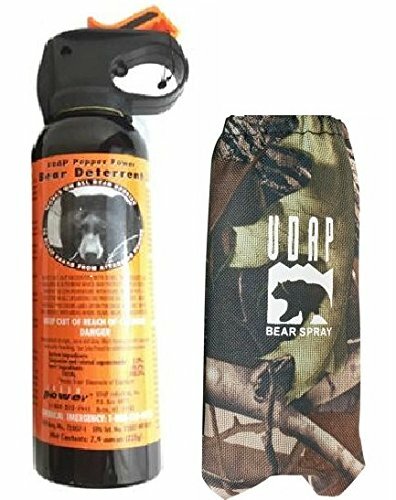 UDAP Bear Spray has been proven effective in dozens of bear attacks. During a bow-hunt over a decade ago, Mark Matheny was attacked by a grizzly bear and suffered numerous bite lacerations in the head and neck. Mark's wounds would have been much worse, if not fatal, had it not been for a burst from a pepper spray that ended the attack. Mark's experience changed his life. Since then, he has dedicated himself to improving a product designed to safeguard people against maulings, and to help them coexist with wildlife. The result is this spray, which consists of a super-hot, oil-based formula that instantly affects eye, nose and lung tissue to stop a charge. This formula is non-lethal, EPA registered and tested to 0 degrees Fahrenheit. It also is equipped with a quick release safety cap. 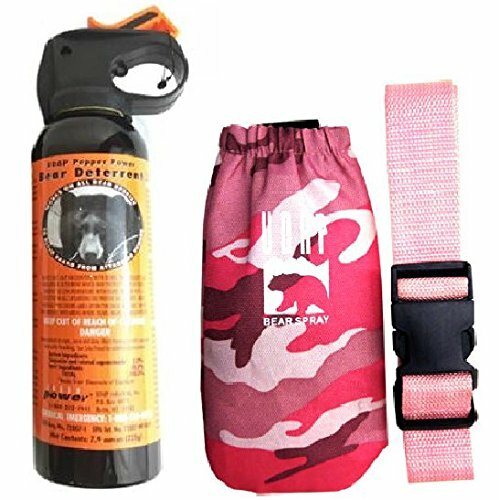 A pink camo hip holster with belt is included. Spray canister is 7.9 ounces. Stop an angry, charging bear with this amazingly effective deterrent. 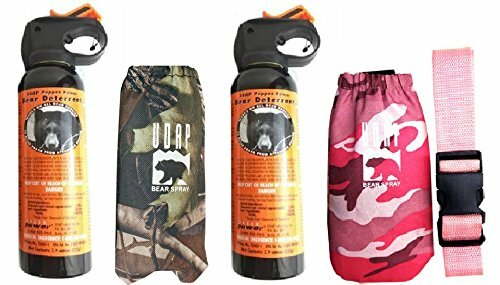 UDAP Bear Spray has been proven effective in dozens of bear attacks. During a bow-hunt over a decade ago, Mark Matheny was attacked by a grizzly bear and suffered numerous bite lacerations in the head and neck. Mark's wounds would have been much worse, if not fatal, had it not been for a burst from a pepper spray that ended the attack. Mark's experience changed his life. Since then, he has dedicated himself to improving a product designed to safeguard people against maulings, and to help them coexist with wildlife. The result is this spray, which consists of a super-hot, oil-based formula that instantly affects eye, nose and lung tissue to stop a charge. This formula is non-lethal, EPA registered and tested to 0 degrees Fahrenheit. It also is equipped with a quick release safety cap. 2 camo hip holsters and 1 pink belt is included. Spray canisters are 7.9 ounces. The Kenai was designed with outdoor recreation in mind. Whether you're hiking, hunting, fishing or just prefer to not have a gun on your hip, the Kenai is the solution. - We designed the harness for all day comfort for whatever activity you might be doing. The buckles are strategically located to be out of way of pack straps and minimize any rub spots. It's adjustable for most body types and can be worn low or high on the chest. - The harness is made of 100% US made nylon, hand sewn by us. It's solution-dyed for long-term durability and reduced IR signature. All thread is coated with waterproofing agent and is UV resistant for a long lifespan. Whether you're in the backcountry or just going about your day, the placement of the firearm on your chest helps you to be a hard target anywhere, without compromising on choice of firearm. Dangerous Predators exist everywhere - are you ready? 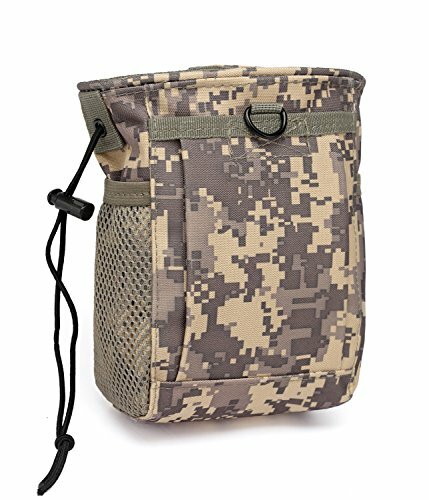 Looking for more Camo Hip Holster similar ideas? Try to explore these searches: School Bag Set, Cooking Bamboo Skewers, and Bakelite Belt. 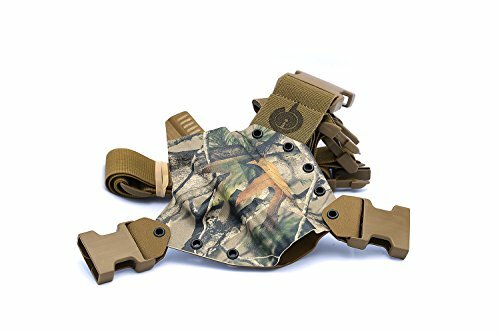 Look at latest related video about Camo Hip Holster. Shopwizion.com is the smartest way for online shopping: compare prices of leading online shops for best deals around the web. 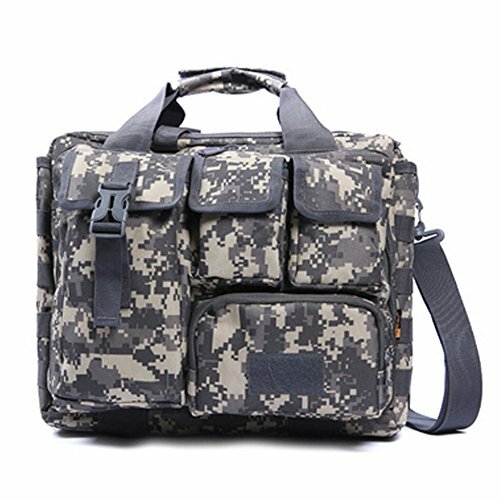 Don't miss TOP Camo Hip Holster deals, updated daily.